Reflections on reaching another milestone;the progess,accomplishments and beginnings of MTI. Following up the above a description of how to go about constructing a storage tank. 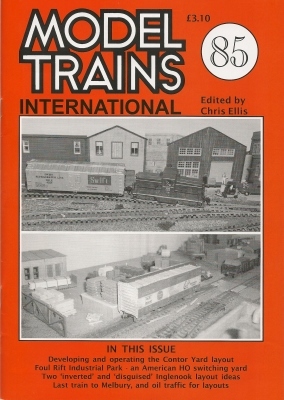 Suggestions incorporating an Inglenook with other formations and to include a canal basin in 5'0x15", with a continental 'secondaire'line or UK tramway in mind.